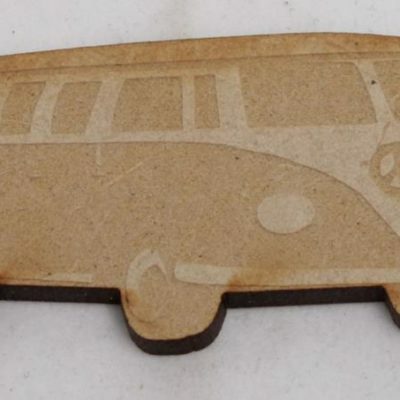 All of our wooden products are laser engraved. This will bring superior quality unique personalised gifts. We use computer technology to bring you a wonderful gift that can be personalised. We can customise any product with your photo, clip art or personal message. Every personalised item is made to order so there will not be another one the same. 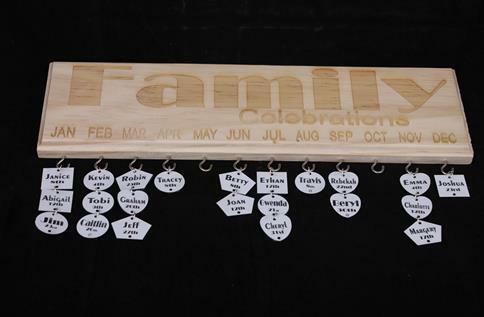 This beautiful range of wooden gifts include signs available in different sizes and different wood. 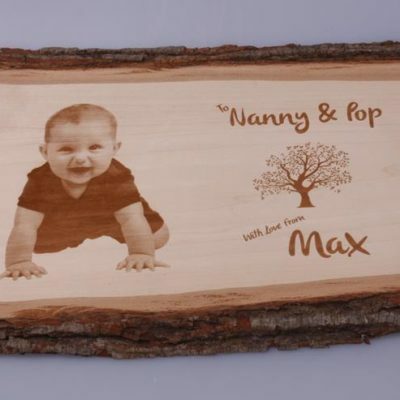 Albums and our natural bass wood plaques are personalised with your very own photos. 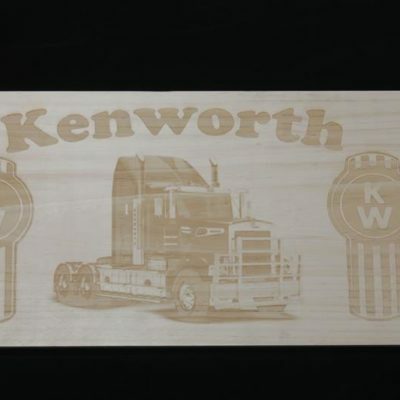 We use a laser engraver to engrave onto the wood. Photo frames are available in different sizes and can be customised for any occasion. 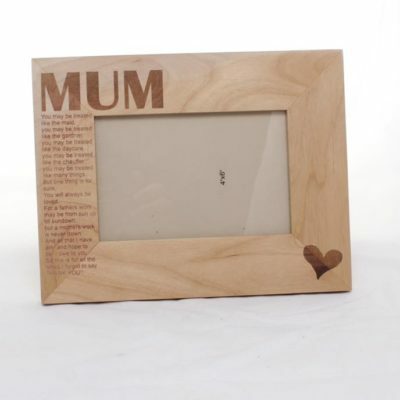 The laser cut frames will make a beautiful gift creating a picture cut within the wood. We can also make wooden jewellery, buttons and embellishments for craft making. 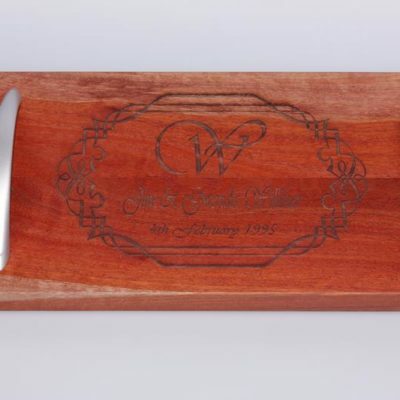 If you would like some wood engraved contact us to create a design for you that you will treasure for ever.